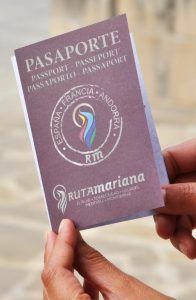 The pilgrim, traveler or visitor who arrives to the sanctuaries of the Marian Route can obtain the ‘Passport of the Pilgrimage’. A small souvenir of his passage through this route. 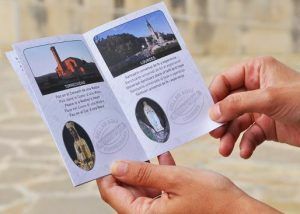 This passport will serve as witness of your presence in the different sanctuaries and this will be certified by a stamp the stay in the temples. How and where do I get the passport? In every one of the five sanctuaries, at the Information Office or Visitant Service Office. – For Meritxell, you can get it only from April to October. Rest of mounths, you will only be able to get it stamped. Where do I stamp the passport? It is a 1 euro donation. With this amount you contribute to the maintenance of the Marian Route.